You can enable the pin code prompt in your app settings so that when multitasking back to the LastPass app, you're prompted to enter your 4-digit code. 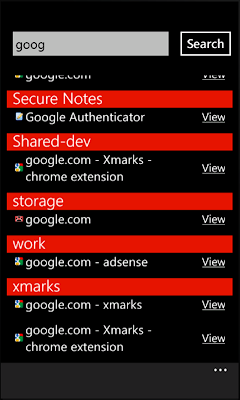 This provides an extra layer of security that's more manageable on your Windows Phone 7, since you won't have to re-enter your master password each time you reopen the app. 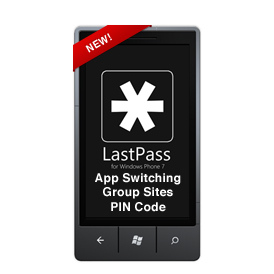 To enable the pin code prompt, login to the LastPass app to view your LastPass vault. Tap the ellipses (three dots) at the bottom of the screen to expand the menu options. Tap the "set pin code" option, and enter a 4-digit pin code. The next time you multitask away from and back to the LastPass app, you'll enter this pin code to regain access. Support for Fast App Switching allows you to easily switch between LastPass and other apps, helping to improve your workflow. 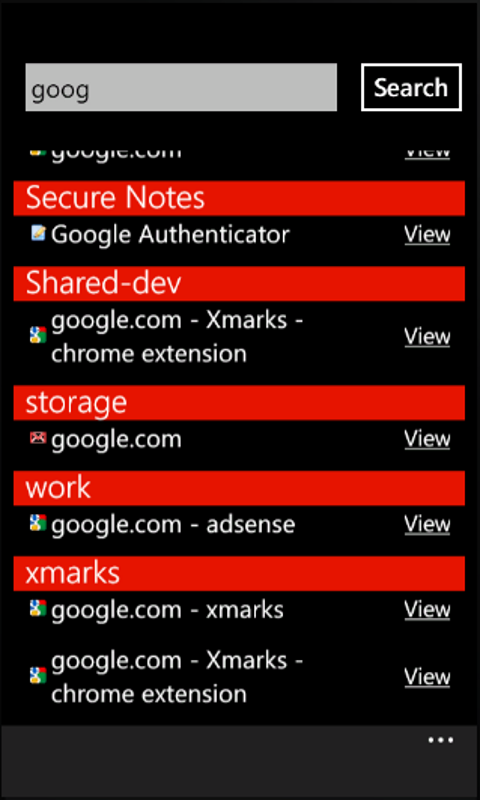 To use Fast App Switching, hold down the back button and you will see all apps that are currently running. You can tap another app's icon to quickly switch to that app. We made several improvements and bug fixes. For example, if you've enabled Google Authentication and are using it to login to the LastPass mobile app, we've improved support for switching apps when entering the Google Auth login code. We're working hard to bring more updates and improvements to our mobile apps and browser addons - stay tuned!